Today we are continuing our blog series on GUMU Migration services. All the firms keep track of all its activities. In this blog, we shall discuss about a functionality of Sage CRM that allows the user to migrate Pending Records or History of records from Goldmine to Sage CRM for a corresponding Company and User. In our GUMU CRM Migration, Pending records from Goldmine is migrated as Communication (Pending) and History records from Goldmine migrated as Communication (Complete) in Sage CRM. At the time of migration, user needs to select the Communication Option as Pending or History from GUMU utility Screen. To understand this, we shall refer the below screenshot. Pending task of ‘Martine Specie’ from Goldmine is migrated as Communication with the status pending in Sage CRM and linked to corresponding Company and User. 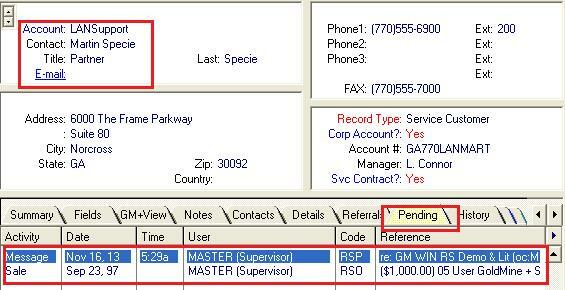 This implies, Pending types from Goldmine when migrated to Sage CRM becomes Communication with a Pending Status. To understand this, we shall refer the below screenshot. 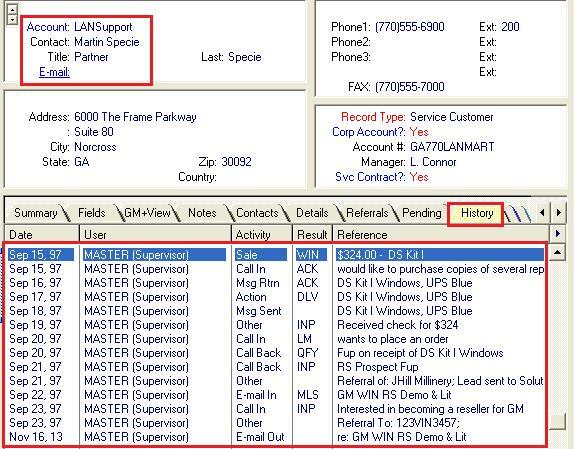 History records of Martine Specie from Goldmine are migrated as Communication in Sage CRM and linked to corresponding company and user. This implies History records from Goldmine when migrated to Sage CRM become Communication with a Complete Status.